Everyone needs a place to call home. Your residence should be a nurturing space where anyone can feel safe. Otherwise, you would be stuck in a rut for the rest of your days. If you feel your current abode isn’t cutting it, now would be a good time to find a new and better one. What you should go for is a house that doesn’t lack in anything and is set in a safe community. Its location should be one that pushes you to new heights and inspires you along the way. All of these things, and more, are what’s waiting for you in Camella Silang. Camella Homes envisions this residential development to be the place you’re going to grow old in. A home here stands out from the crowd because of its Italian and Mediterranean architectural scheme. You’ll have a lot of unit model choices that suit any lifestyle you have. Take your pick from Carina, Carina Downhill, Carmela, Carmela Up Hill, Dorina Up Hill, Dorina, Elaisa, and Mara. Although it’s the most affordable, you’ll still have a lot of space to use with Mara’s 53 square meter floor area. Carmina Down Hill boasts 65 square meters of floor area while Carina has 72 square meters. Both Carmela and Carmina Up Hill units offer 65 square meters for prospective homeowners. Likewise, both Dorina and Dorina Up Hill provides you with 83 square meters of space for your needs. If space is crucial for you, Elaisa and its 97 square meter floor area is what you should go for. All of these house and lot models contain provisions for bathrooms, bedrooms, and every other feature you’ll need in your future residence. Whatever option you take, you’re sure to get your money’s worth here in Camella Silang. Having a home in Camella Silang means you’ll have a kind of environment most people would be envious about. Tagaytay City is just a few minutes away but the cold air and refreshing vibe it’s known for is also present in this residential development. You’ll certainly wake up with a smile, knowing that the air you’re breathing is as fresh as it can get. Camella Silang is situated along Aguinaldo Highway in Cavite. This particular road serves as the gateway to various tourist spots in Cavite and Batangas. In fact, this residential development’s location is less than 100 meters away from Tagaytay City, and all the wonderful attractions there. Camella Silang is also linked to the South Luzon Expressway, Coastal Road, C-5, and CAVITEX to make your travelling experience to Metro Manila a convenient one. You can easily reach business districts in Alabang, Bonifacio Global City, and Macapagal Boulevard for your work or business-related dealings. At the same time, you’ll also find a wide range of public transportation vehicles and terminals near Camella Silang. Step out of your home here and you can find a bus or jeepney to take you to your destination without any hassles. All of these benefits are made possible, thanks to the strategic location of Camella Silang. Even with its location outside of Metro Manila, you’ll still have a lot of incredible establishments near your future home in Camella Silang. Your everyday needs will certainly be taken care of without travelling too far. You just need to spend a few minutes travelling to amazing commercial centers, such as Mahogany Market, Tagaytay City Market, Ayala Malls Serin, and Robinsons Supermarket Tagaytay. 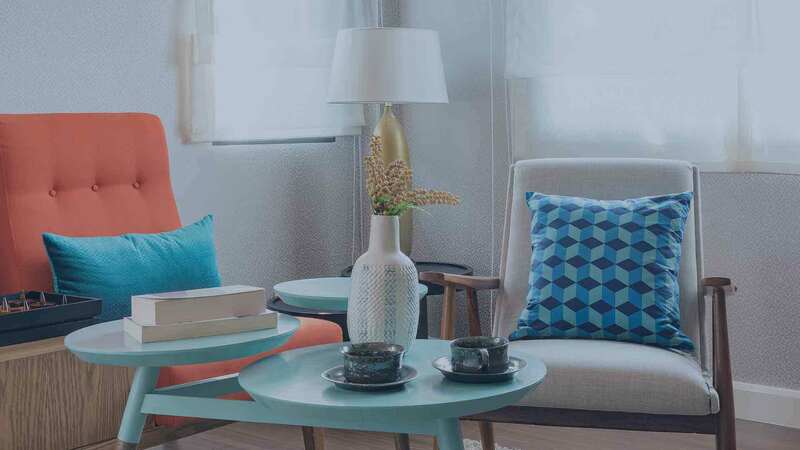 Along with these shopping malls, numerous schools, hospitals, recreational facilities, and tourist destinations are within close proximity from Camella Silang. For sure, everything you need and want will be within reach without going to the big city and back all the time. You won’t have a problem locating your next getaway when you choose to reside in this area. Going out of your home in Camella Silang will be a thing of the past. There is more than enough reasons to stay indoors here, thanks to a diverse set of amenities available for your use. You can be entertained, relax at a moment’s notice, or enjoy the company of your loved ones right in the comfort of this wonderful community. With Camella Silang’s amenities and vibrant community, you’ll never leave your house here for an extended period of time. Camella Silang offers you and your family a chance to live without any worries. This residential development’s location, atmosphere, and amenities all blend together perfectly to provide a lifestyle that’s straight out of your dreams. All of these things, and even more, are waiting for you in Camella Silang. Camella Silang is a unique community resort-village only 10 minutes away from Tagaytay, the country’s mini summer capital. This metropolis is located in the eastern section of Cavite, accessible by land transportation. Situated 900 feet above the sea level and with 20 hectares of rolling terrain, enjoy the renowned breathtaking sights of Silang’s natural surroundings and exhilarating breeze. It is definitely a picturesque community framed by the natural beauty of its surroundings. Camella SIlang is known for its state-of-the-art Italian-Mediterranean-inspired houses, with exquisite architectural design, materials and finishing, complementing the charming yet comfortable environment of Silang. House features include a built-in balcony, spacious kitchen and dining room, and high ceiling and windows. With two storeys and at least three bedrooms, feel free to be creative and create the best furniture layout of your house. Each house model is designed to adapt to your needs. Whether it is for a cozy gathering with family and guests or simply for to enjoy morning coffee with natural light and cool breeze, it is as functional as it is aesthetically pleasing; the ideal rest house. Feel free to relish in mind and body rejuvenation in the fitness gym at the clubhouse or by jogging or biking along the trails lined with pine trees. The sustainable and nature-friendly place has other amenities like the butterfly sanctuary and a bird aviary. With perimeter fencing and a 24-hour CCTV all around the village, the rest house community cannot be any safer. Situated along the Aguinaldo highway, Camella is only minutes away from some of the best schools, shopping places and landmarks around. Nearby shopping places include SM Robinsons, Mahogany Market and Tagaytay City Market. Outstanding schools, such as Far Eastern University and De La Salle, are only minutes away. Not forgetting the religious, landmark places of worship, like the Pink Sisters, are easily accessible. When it comes to relaxing, luxury spa, wellness hubs and sightseeing spots not far away are the places to go. Picnic grounds, public parks and a zoo are ideal places for a family day out. Not forgetting to indulge you in a wide mix of gourmet and casual restaurants at close quarters. Golfers will be especially thrilled to know that the two most beautiful and challenging golf courses in Asia, Tagaytay Highlands and the Riviera Gold Communities, are within minutes’ drive away. Looking to hire chat agents for your websites? We recommend Help Desk 24/7. Camella Homes Camella Silang in Cavite, Philippines is a premier House & Lot project available for sale. If you're looking to rent or purchase Camella Silang, then check here first. We have full details of Camella Silang updated regularly as well as everything you need to know about the availing and booking process, broken down into stages that includes selecting a unit, choosing a payment plan and buying your dream home at the right price. For price list, free site tripping or showroom visit, personalized service, model house, unit plans, floor plans, payment terms, CHAT LIVE with an agent 24x7. We are Remax Perfect Homes. Always only buy from PRC licensed Real Estate Brokers and Agents. The Camella Silang is a house and lot community in Silang that sits in a vast 20-hectare property overlooking the Tagaytay highlands and the majestic Taal Lake to the south. The enormous size of its development brings your investment to a whole new level as you are bound to profit more in the near future in terms of high yielding property appreciation and the best value for your money. Built and developed by Vista Land, the Camella Silang is sure to have a steep property appreciation once the community is totally developed as it is also situated along Aguinaldo Highway, one of Silang’s major thoroughfares that will lead you to Dasmariñas to the north and Tagaytay City to the south, which is less than 100 meters from the site on the nearest boundary to Tagaytay. The proximity of Camella Silang from the “Second Summer Capital of the Philippines” is in itself an ideal location where more opportunities in business, employment, attractions, and other entrepreneurial endeavors could be had and have positive results in a short period of time compared to other locations in the CALABARZON region. And when we are talking about “proximity” to Tagaytay, we mean really close! The Camella Silang is specifically situated where the Tagaytay Public Market is closer than Silang town proper itself. Additionally, while Tagaytay City has an average elevation of more than 600 meters above sea level (masl), this part of Silang where the Camella Silang sits has an average elevation of 327 masl, where the breeze is also cooler than other of Cavite’s low land towns and cities. This makes the site also conducive to nature-inspired living conditions. The project is conveniently located less than 1km from the Tagaytay Picnic Groove and a few meters away from the Tagaytay-Nasugbu Highway (the highway leading to the rest of Cavite) and the Tagaytay-Calamba Road, the road leading to the province of Laguna. With these access roads within the perimeter of the Camella Silang, everywhere you may want to go will be easy and convenient any time. Rejoice for the modern contemporary architecture of the Camella Silang’s Home Design Series featuring 3 of the company’s signature home models. The Carmina-UH is a 2-storey Single Firewall Townhouse with 3-BR, 2 T&B, an average lot area of 88sqm, and average floor area of 65sqm. This stunning house model has a balcony, a carport, a lawn, service and utility areas, and a hallway on the second floor. The Dorina is also a 2-storey Single Firewall Townhouse, with 3-BR, 3 T&B, an average lot area of 99sqm, and a floor area of 83sqm. It has a carport, a lawn, a balcony, service and utility areas, and maid’s room. While the Carmina-DH comes in 2-storey Single Firewall Townhouse with minimum lot area of 125sqm and average floor area of 65sqm. This house comes with 3-BR, 2 T&B, a balcony, a carport, maid’s room, and service area. All house units have roomy living, dining, and kitchen areas, characterized with high-ceiling. Once you decide to invest in the Camella Silang, a house and lot package for sale in Silang Cavite, you will have a chance to pay in cash after paying the reservation fee (without down payment) and continue paying in equal monthly amortizations within 24 months without interest and it is considered as a cash payment. However, if you want lower monthly amortization and in a longer period of up to 20 years, you may opt for In-House Financing or via Bank Financing. Find out more about these payment options by contacting our ever reliable real estate specialist on this web site. Have a chat now!